Workout will be made up on the spot. It’s FREE so bring a friend! Come finish your week off with a great workout! If you’ve missed a few days and are waiting for a good time to start back up. You’ll never find it!!! Just get back in here today! For those of you that are waiting on shirt you only have to wait one more day. They should be in on Friday!!! At least that’s what the printers told me. 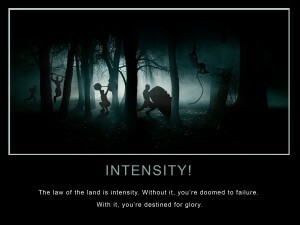 Here is a little Poster I made about Intensity. 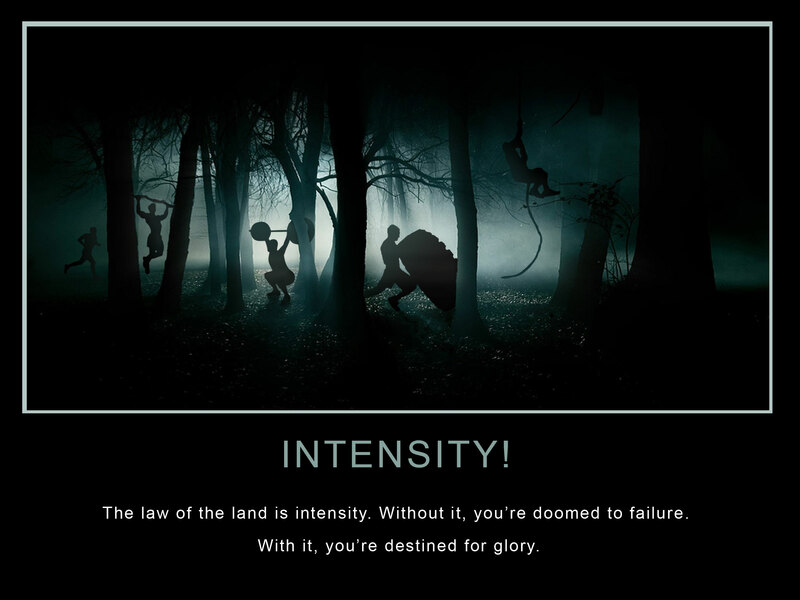 Remember this when you walk in the door today.